A High Court decision upholding Australia’s offshore detention system for people seeking asylum has prompted calls for civil disobedience. Many people are particularly outraged that there are 80 children including 37 babies among 267 people currently facing deportation. Among them is a five year-old boy allegedly raped on Nauru. 1. Offshore detention on either Nauru or Papua New Guinea’s Manus Island, with the aim of resettlement in regional countries for those successful in their asylum claims. Essentially anywhere but Australia. Most remain in detention centres because of the lack of acceptable countries for relocation. 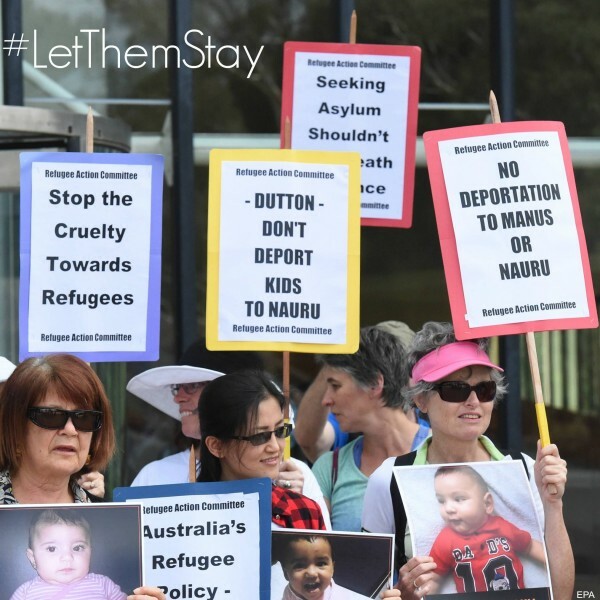 Calls for Civil Disobedience in Australia Over Children’s Offshore Detention · Global Voices.